This delightful rural venue can be hired for daytime or evening events - 7 days a week. It has a capacity for up to 250 people standing, or 150 seated, and has a fully equipped kitchen, toilet facilities, wheelchair access and a large car park. The Hall has a stage, and its recently renewed wooden floor provides a wonderful surface for all dancing and sporting activities. 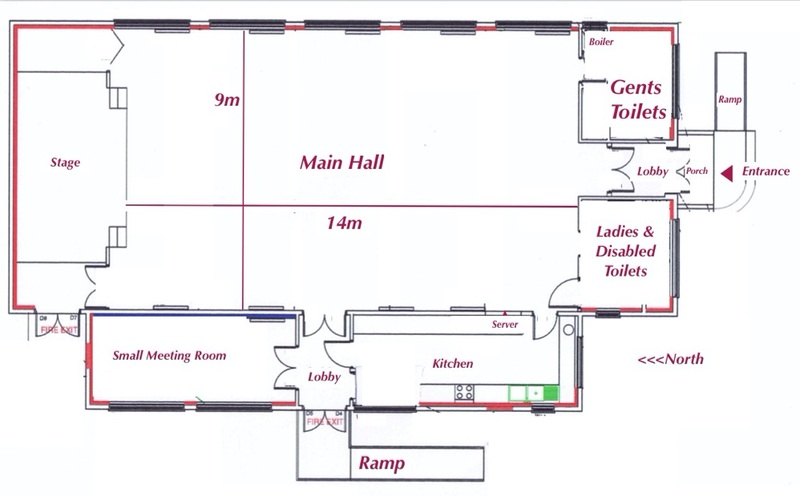 See below for a plan of the Hall. Hiring is charged at £10.00 per hour. There are discounts available for residents and regular users.